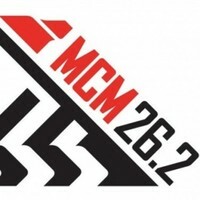 Celebrate Father's Day by kicking off the weekend with an awesome race taking you on a scenic tour through the beautiful Santa Clarita Valley. 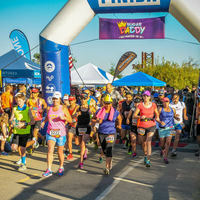 Run with friends, family and kids to take on the Sugar Daddy Marathon challenge while helping to support a charitable cause. A community race created to bring runners together and give you a great race experience and earn an awesome Sugar Daddy Marathon collectors medal, plus get a special ice cream treat to help cool you down at the finish line! Runners get to enjoy the best of Santa Clarita's awesome paths and paseos taking runners on a spectacular tour around the Santa Clarita. The Sugar Daddy Marathon is a race for everyone, runners, walkers, hikers, there is even a Kids Run where they earn a special kids medal! Runners will experience iconic locations, sights, and view including the recently restored 128-year-old Iron Horse Bridge crossing the Santa Clara river. In June the weather starts to heat up in Santa Clarita and Sugar Daddy Marathon participants will get a special ice cream treat at the finish line! The race will be on Saturday, June 16th, 2018, last minute check-in starts at 5:00 AM. The race start and finish line is located at the Iron Horse Trailhead located off Magic Mountain Parkway.